Along with Buddy Holly, he is one of the legendary figures of rock'n'roll. Born on 3.10.1938 in Oklahoma, he embodies the type of the somewhat disadvantaged middle-class rocker all his life. Externally he resembled James Dean and his songs also had this trace of revolt and resignation that had made James Dean famous. His "Summer Time Blues" and "C'mon everybody" are probably still the best known. They were also his most successful hits. Eddie Cochran made his breakthrough at the end of 1958, not even two years later he died on 17. 4.1960 near London. He was on tour in England, trying to get to the airport in a cab. Today he is still a role model for many groups and musicians and his songs are being recorded again and again, the Who were the ones who recorded his "Summertime Blues" and in 1975 the English group Showaddywaddy was successful with his "Three Steps to Heaven". Eddie Cochran needs no introduction to any true rock 'n' roll fan. Despite his short life and even shorter recording career, Eddie Cochran still casts a long shadow over almost any rocker who straps on an electric guitar. Who doesn't know Summertime Blues, Nervous Breakdown, Twenty Flight Rock, or any of the other great rock 'n' roll anthems that Eddie left behind? 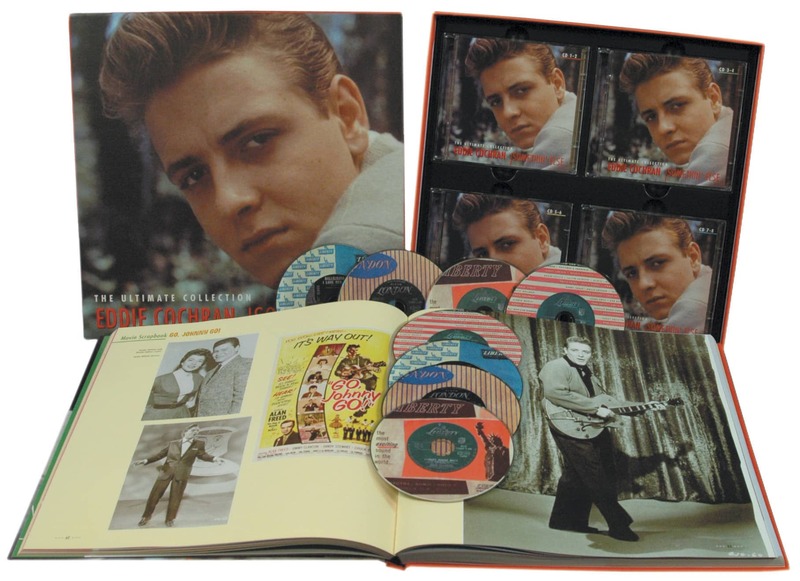 Eddie Cochran's music has been reissued extensively, from cheap budget compilations to Bear Family's lavish and exhaustive 'Somethin' Else—The Ultimate Collection' box set (BCD 15989). This compilation is the first of its kind, covering only Eddie's most rocking tracks as a solo performer, for a solid rock 'n' roll blast from start to finish. Unlike most single-CD compilations of Eddie Cochran, this has none of the early hillbilly tracks, instrumentals or ballads. 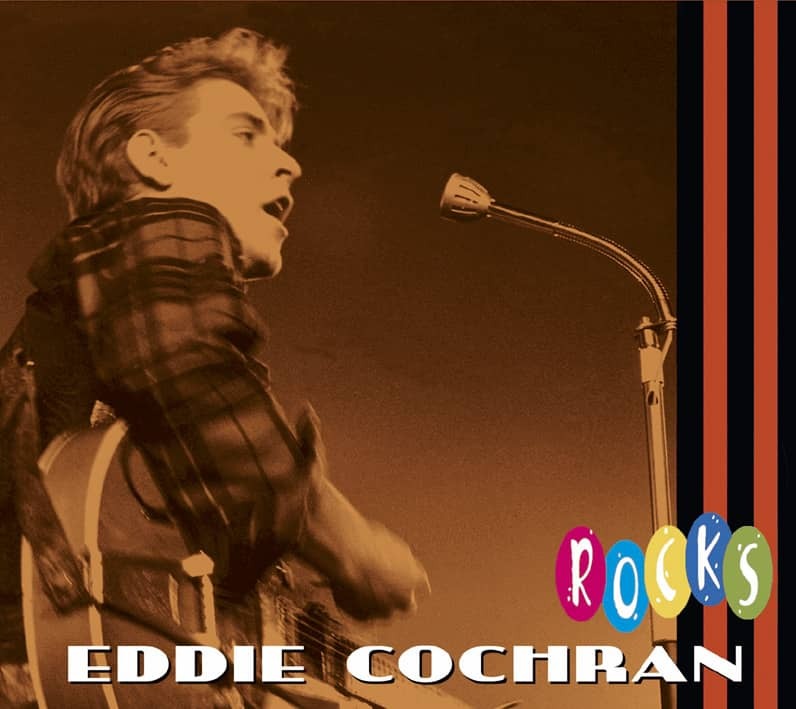 This 'Eddie Cochran Rocks' disc truly rocks! Ray Edward Cochran was born October 3, 1938, in the small southern Minnesota town of Albert Lea. His parents, Frank and Alice, were transplanted 'Okies' from Oklahoma City, and though Eddie was born and raised in Minnesota, he always considered himself an Okie, too. Eddie's eldest brother Bill went into the Marines, and left the adolescent boy with his Gibson guitar. Eddie took to the instrument right away, and by the time he was 13 he was obsessed with the guitar and music in general. Once Elvis Presley came on the scene, all bets were off in the music business, and fortunes were being won and lost overnight. Eddie and Hank joined forces with yet another transplant, Missouri native Jerry Capehart, who stepped in to produce the boys and mold their sound into the new sound. The results were some of the best rockabilly duets ever recorded—Tired & Sleepy, Fool's Paradise, Open The Door, and Slow Down, great ones all. During the same time, demos were cut with only Eddie singing, some of which have stood the test of time as solid Eddie Cochran classics. An initial stab at Pink Peg Slacks was a good one, as were covers of Carl Perkins' Blue Suede Shoes and Little Richard's Long Tall Sally, all included here in their original, undubbed versions. All signs in the music business were pointing to rock 'n' roll, and Eddie's youthful good looks soon became the object of Presley-styled mania from female audience members. 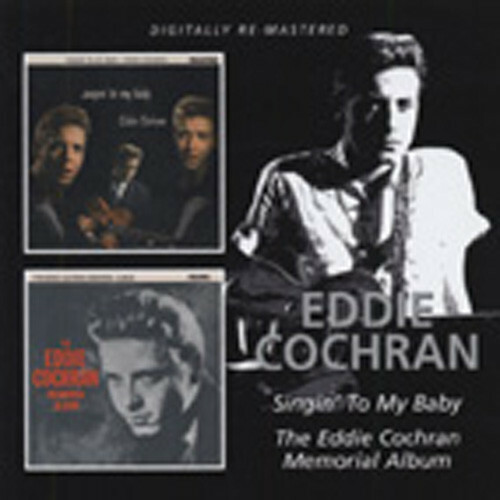 Soon thereafter, the Cochran Brothers went their separate ways, leaving behind Eddie as a new solo artist. Hank Cochran would go on to great fame and fortune as a songwriter in Nashville. Eddie's star, on the other hand, was locked and loaded, ready at the right time and the right place for something truly big. Meantime, he kept busy with local appearances and as a session guitarist on many country and rock 'n' roll sessions around Los Angeles. Eddie's guitar work graced discs by Skeets McDonald (You Ought To See Grandma Rock), Lee Denson (New Shoes), and dozens of others. Not only did this introduce Eddie to the way top studios made professional recordings, but he got to rub shoulders with some of the hottest players in the business, including Joe Maphis and steel guitarist Ralph Mooney. The session work experience brought Eddie's talent to a new professional level. Customer evaluation for "Singin' To My Baby - Memorial Album"